Located by the banks of Chao Phraya River, Shangri-La Bankok is undoubtedly one of the most luxurious hotels in Bangkok. It is a 5-star hotel that offers excellent value, convenience, as well as beauty. The hotel provides eclectic views by the river. The guestrooms are strategically located by the poolside. The hotel itself is set in a prime area close to Bangkok central business district, just next to the sky train at Saphan Taskin BTS station. This positioning eases the movement of the guests to and from the hotel. 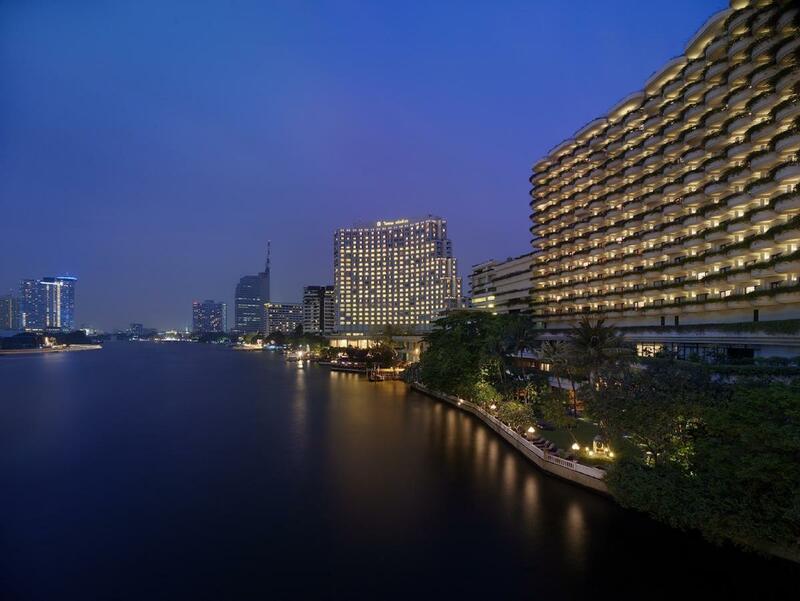 Shangri-La Hotel Bangkok is less than 40 minutes away from Suvarnabhumi International Airport. Located along the River of Kings, The Siam is surrounded by historical places, museums, and notable Bangkok temples. The luxurious hotel is set on 3 acres of the premium river frontage that is privately owned. It has a total of 39 guestrooms. The hotel is characterized by an oriental allure and contemporary comforts. 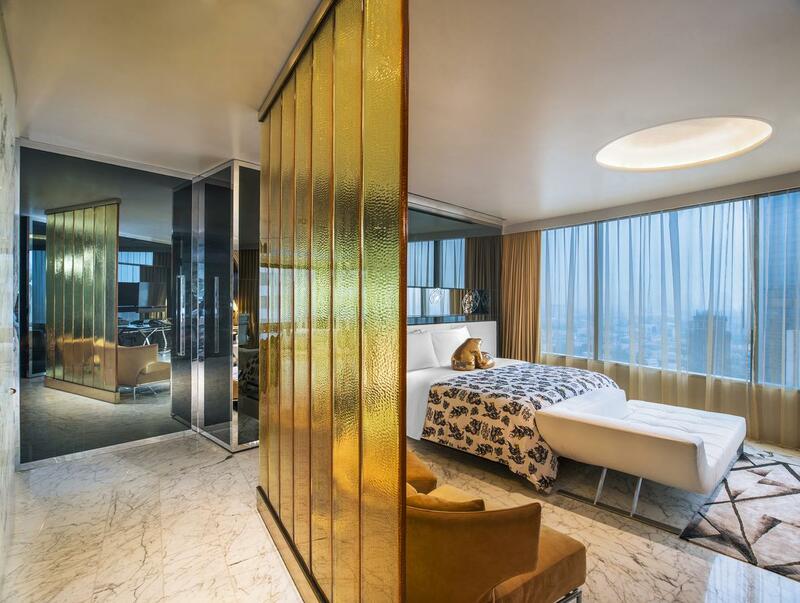 Designed by two world-renowned architects, Bill Bensley and Krissada Sukusol, The Siam offers one of the most massive suites in Bangkok. Some features of the hotel include the open roof terraces and private pool villas. Dining at The Siam is an unforgettable experience as the hotel gives exclusive dining services on the teakwood houses. It also offers an irresistible cocktail. Guests get to watch Bangkok by boat from the private piers. They can also enjoy getting pampered in the hotel spas. 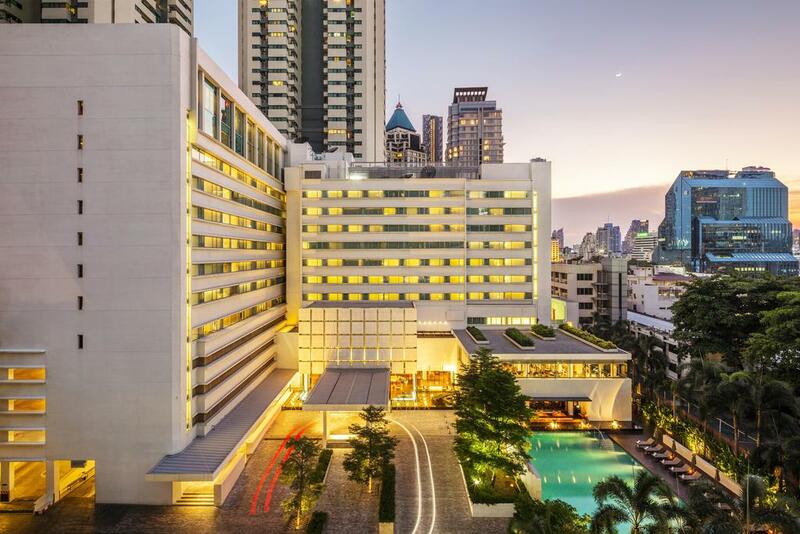 The Peninsula has been in existence for just a few years, and in this short time, it has managed to establish itself as one of the best hotels in Bangkok. It has won many awards over the years, including the ‘World’s Best Hotel’ back in 2003. The hotel is conveniently situated at the banks of river Chao Phraya. A wavy design characterizes The Peninsula, and this beautiful form offers a panoramic view of Bangkok City. The hotel is located about 35 minutes from Don Muang International Airport. 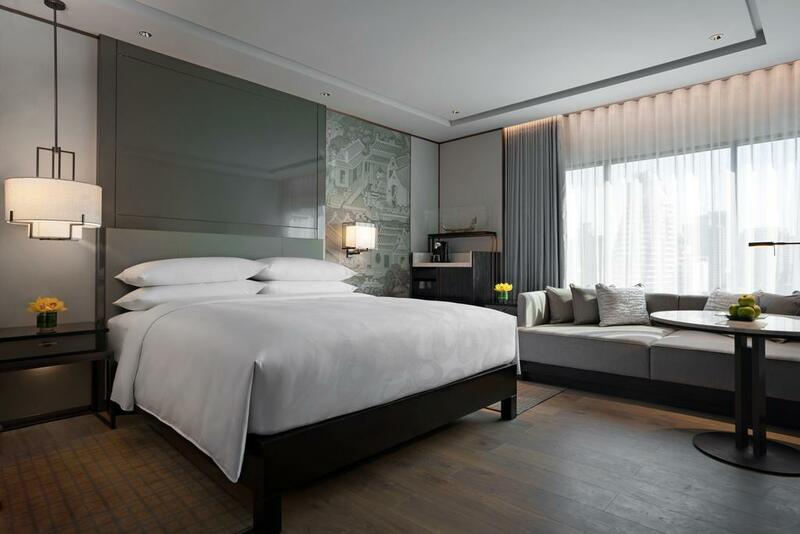 The 39 Peninsula guestrooms are among the most technologically advanced rooms in Bangkok. Guests can control their environments with the push of a button. 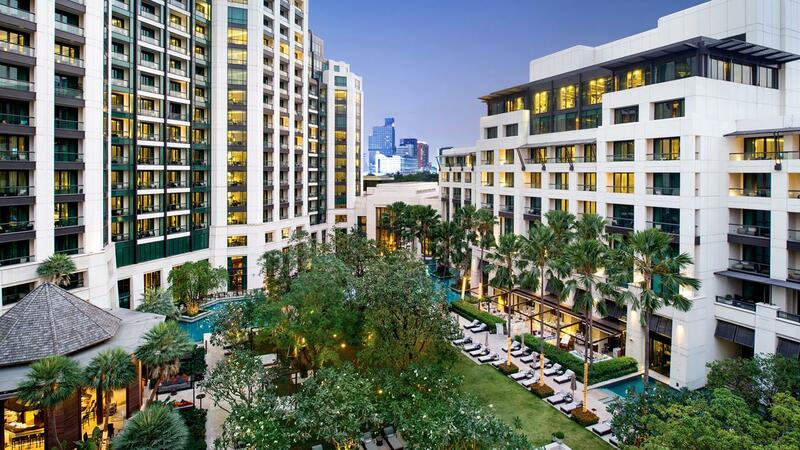 As part of the Kempinski group of hotels, this is one of the newest 5-star hotels in Bangkok. It was established in 2010 and is located at the heart of Bangkok. The hotel has a touch of European sophistication and, at the same time, it offers some Thailand-themed services and cuisine. 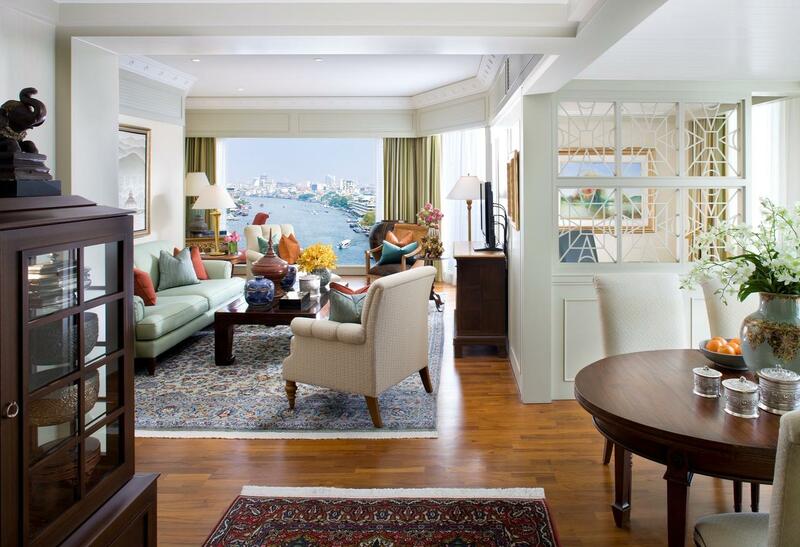 The Siam Kempinski has 42 suites and a total of 303 room, in addition to the 98 serviced residences. It is characterized by a big green royal garden which can be accessed right from the balconies of the rooms. 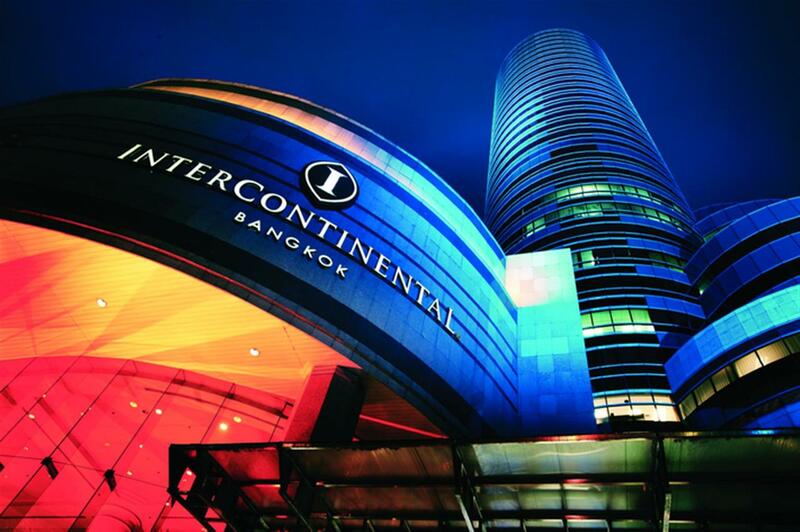 Located at the center of the business district, the InterContinental Bangkok is ideal for both leisure and business travellers. It is located adjacent to the Chidlom BTS Sky Train Station, just a short walking distance from the central business district. 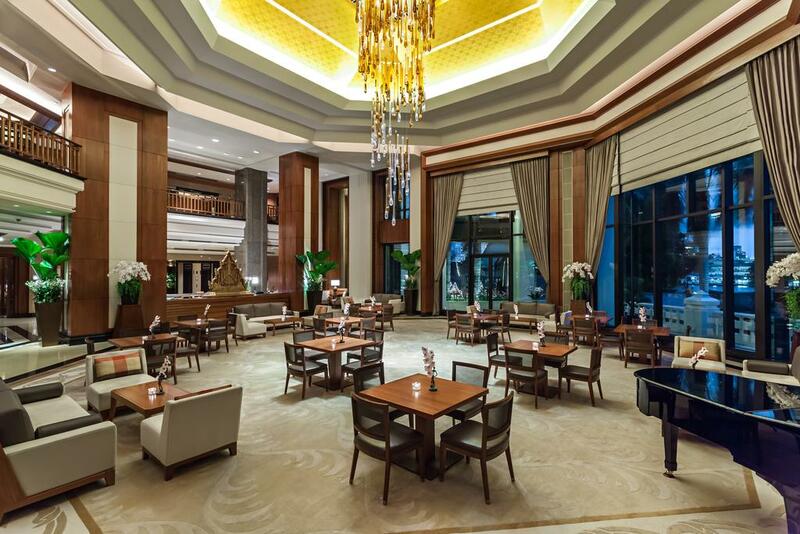 InterContinental Bangkok offers a great sense of welcoming space with its graceful interior décor. The guests enjoy excellent services from the staff. The Buddhist culture is heavily promoted at Intercontinental Bangkok. The Sukhothai Bangkok takes you back to the bygone age as it combines the contemporary style and the old world palatial charm. It stands on a 6-acre piece of land and has a generally relaxing ambiance. The hotel specializes in offering personalized services. The hotel also has a world-class restaurant that offers exceptional wining and dining experiences. Guests get to enjoy the chocolate buffet that is available every Friday, Saturday, and Sunday. 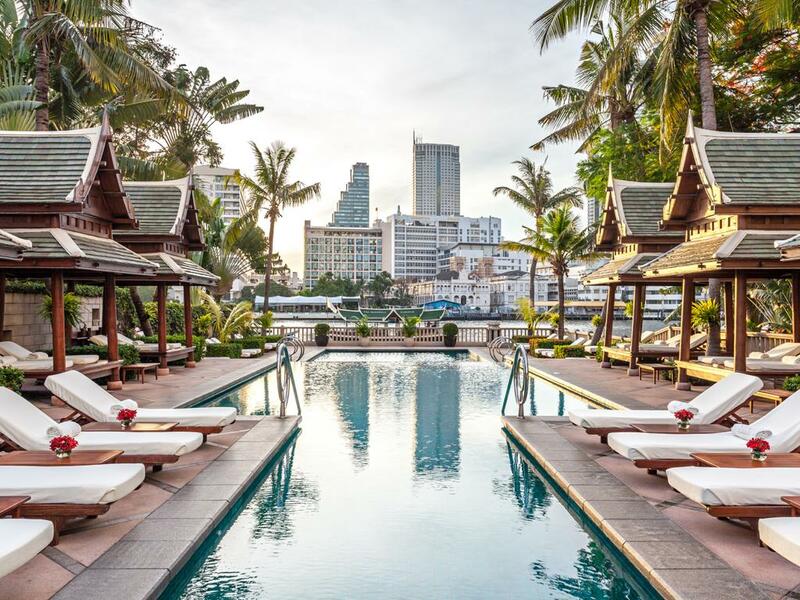 The Como Bangkok is Thailand’s capital hotspot. It has an Asian aesthetic that has been combined with contemporary styles. The hotel is also known for its award-winning cuisines and the holistic spa. 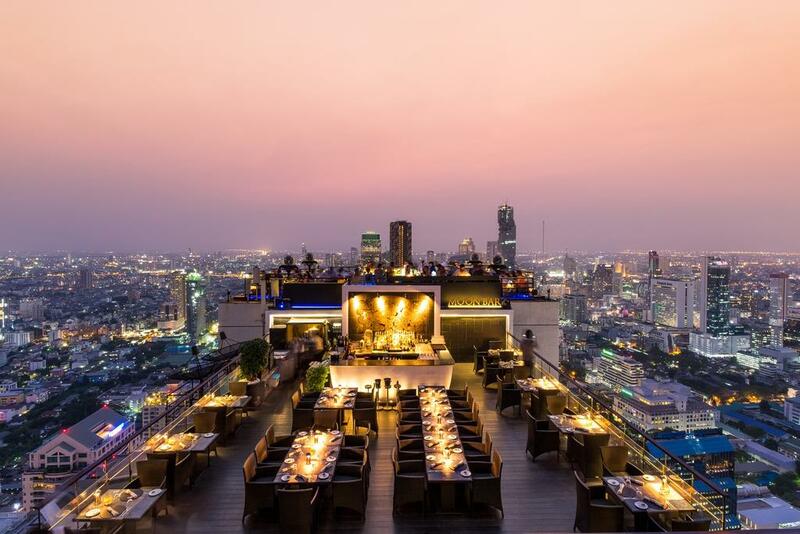 On top of all these, it has the best lounge bar in Bangkok. The Como Bangkok is ideal for a demanding traveller who looks for exceptional and accurate service. The hotel has 169 rooms, two presidential suites, and four penthouses, all of which were designed by Kathryn King, an interior designer based in Singapore. Banyan Tree Bangkok stands out among all the other hotels in the city, primarily because of its spa. It is a sanctuary where you can rejuvenate all the senses and have a holistic spa treatment. 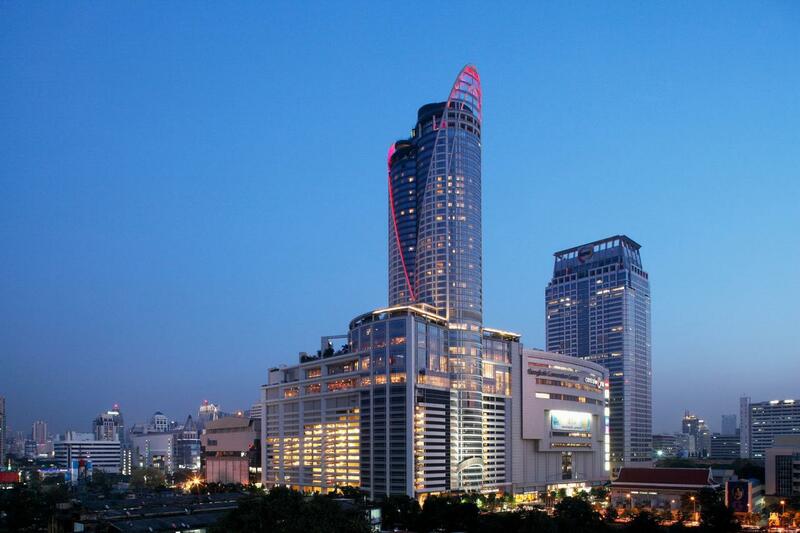 The Banyan hotel is located at the heart of Bangkok business district, and this makes it easily accessible. It is also great for a person who intends to do their shopping in downtown Bangkok. The hotel offers a gourmet tour that will take you to the capital’s excellent dining spots like the Vertigo Grill on the 61st floor. This is actually one of the world’s highest restaurants. The guests also have the chance to visit the Tallest Garden Spa in Asia which is found on the 51st and the 54th floors. The JW Marriott Hotel Bangkok offers nine avenues of cuisine. It features foods from all over the world. The hotel has some of the best chefs in the world, and these specialists have won the restaurant several awards over the years. It is a perfect destination for events such as weddings. The JW Marriott Hotel Bangkok health club also has a wide range of activities for the members. One of these is the holistic treatment at the spa. 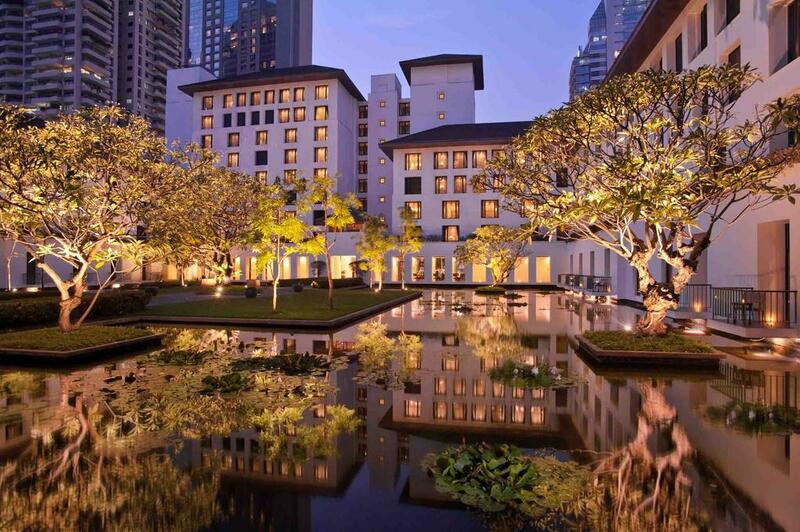 A brand and hotel that needs no introduction is the Mandarin Oriental Bangkok. Located on the banks of the Chao Phraya River in the historical Charoenkrung district lies is the cities number one hotel. With 4.5 staff to each and every guest, nine restaurants a spa (which you romantically need to take a boat across the river to get too) an entire team of pastry chefs, a flower team, butlers, the list goes on. In fact over 1000 stay keep this hotel ticking over each day making it the pinnacle of luxury hospitality. One of the newer offerings in Bangkok the W Hotel brand in Bangkok’s Sathorn business district has it finger most definitely on the pulse. “Casual luxury” is at the heart of this brand and it works flawlessly. Cutting edge technology and little surprise finishing touches keep the rooms a cut above the competition, whilst the bar is jumping in the evening giving the hotel a fun and funky approach to luxury accommodation. We loved every minute of our time at the W and we know you will too! For the luxury traveler that likes it all laid on and a super convenient post-code to boot, then the Centara Grand at Central World is the place for you. Big and ballsey this hotel has everything you need for complete relaxation. If you are staying make sure you visit the spa and no stay is complete without dinner at Red Sky and a cocktail to finish the night off – talk about a good view!